First is Kirsi, she's just over 2 months old but I just met her so she's still new to me, I can't wait for her to come visit us! 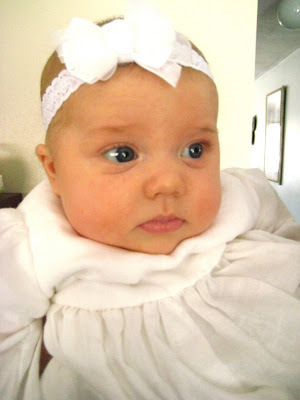 On the day of her blessing, something about babies in all white that makes me melt. 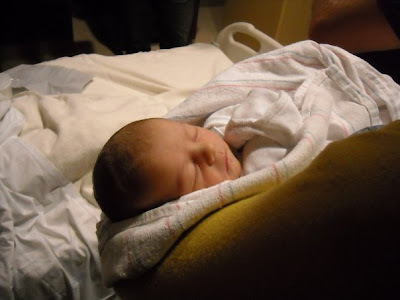 And then there is my pseudo-niece Evie (pseudo because she's the daughter of Robert's life long friend Josh and they're practically brothers), she's not even a week old yet but I think I love her already, so glad she's finally here Kristen! I stole this photo from Michelle, but I felt ok about it since that's my yellow sweater(of course) holding that little angel. And for the record I know 4 other people who are pregnant. babies. they're everywhere.